This arc floor lamp features an amber mica shade and solid wood base. The Oak River floor lamp brings organic style to any room in your home. Arced metal frame supports the amber mica shade which creates a warm, ambient glow. Solid wood base has a natural oak finish. Note: Mica shade is fashioned from natural occuring minerals. Slight variations make each shade unique. Overall: 66 1/2" high. Arc arm extends 32 1/2" from the base. 144" brown cord. Weighs 19 lbs. Wood base is 12 1/4" wide x 13" deep x 15 1/2" high. Shade is 12" across the top x 16" across the bottom x 10" high. Uses one 150 watt standard base bulb (not included). On-off step switch on the cord. Natural mica material shade. Slight color variations may occur and make each shade unique. Dark rust finish metal pole and accents. Natural oak finish wooden base. Love the look!! Just moving into new home!! I love the look, the color, the wood accent and the shade. VERY COOL , BOUGHT ONE , HAD TO HAVE ANOTHER !!!! This lamp was both modern and rustic and robust in structural terms. Tall. Perfect for Craftsman living room. Lots of light for reading. Style. It should go well with our mission style furniture. Reviews by prior purchasers were all very good. Has the right size, material and color for my living room. The lamp will complement the mission style furniture in my living room and is similar to other lamps I have in the room. Also, I like the warm light created by amber- colored shades. I have a log home with rustic furniture. Already had one.Need another for the room. Much less than I paid from the lamp store. Lamp is so different and unique. It looks perfect for my office and will go behind a reading chair. Would this lamp work as a reading lamp? BEST ANSWER: Hi - With a maximum of 150 watts, this should be plenty of light to read by. Can the angle of the shade be adjusted? BEST ANSWER: Hi - No, there is no adjustment of the shade. It is stationary. 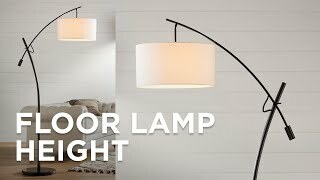 Is anyone else able to confirm a wall dimmer will work with this lamp? BEST ANSWER: Hi - Yes, this will work with a wall dimmer as well. I use Lutron caseta. it works fine. As long as your bulb is dimmable it will work. Will this lamp be stable standing on a carpeted floor? BEST ANSWER: Hi, yes this floor lamp can be used on carpet. Yes, it is quite stable. The base is large and heavy. I can't push it over, pushing it around from a chair. How is the cord attached to lamp or concealed along the arc? BEST ANSWER: The cord comes out at the bottom of the base. There is an on/off switch ( a push button that can be pushed with your foot) that is about 2 feet from the end of the cord or halfway between the plug and where it is attached at the base. 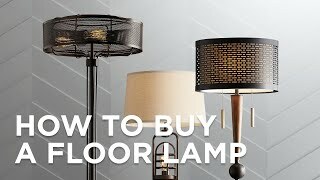 The cord runs through the metal parts of the lamp and comes out at the very bottom and back of the wood base, where there is a step on-off button on the cord with ample cord to be plugged into a wall outlet. It is threaded all the way through the metal arc & comes out at the bottom (back) of the wooden base. There is a button floor switch that you can step or tap on to turn lamp on & off. The cord goes into the base. It has a foot switch to turn on. Is the Mica shade more of a deep orange amber or does it have yellow in it. If any one has a pucture to share it would be appreciated? BEST ANSWER: Hi, it has more of that deep orange amber tint. Mine looks more red than orange or amber. 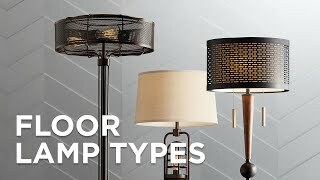 Can you use a 3-way bulb or dimmer with this lamp? BEST ANSWER: I use Lutron Caseta dimmer with this lamp. It works great. I don't think this lamp is wired for 3 way bulb. 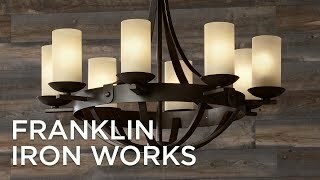 I know your statement is plain as day but would like to confirm before I buy that I may use a wall dimmer for this exact lamp? Yes you may use a wall dimmer. I don't think you can use a 3-way bulb or a dimmer. The only witch that is available to turn the lamp on or off is an on/off foot switch on the cord at the base of the lamp. How does the "step switch" work? Don't see it in the picture. Is that a problem if the lamp is located behind a chair? BEST ANSWER: There should not be a problem with where you plan to place the lamp as the foot switch is generally located about a foot and half to two feet away from the base. You may also choose to connect the lamp to a toggle switch outlet where you control the light from the toggle switch vs. the foot switch. Shouldn't be an issue. The cord is long, allowing you to place the button out some, giving you over 2' to play with. I would think you could run the cord under a chair and out the side before plugging it into an outlet, giving you free access to the foot switch. John, we turned the step switch on but have the lamp plugged into an outlet that is switched on the wall, that way we can turn on and off at the wall switch. Hope that works for you. The cord from the lamp to the step switch is long enough to be clear from most furniture. A nice addition to the mission decor in our home. We love this new lamp! It is perfect in the corner and changes the vibe of the whole room. Wanted something different. This fills the bill. Perfect with our decor. Beautiful soft glow through the amber Mica. Love this lamp. It fits our mission-style living room very well. The lamp is beautiful, easy to assemble, and is perfect for my space. The lamp is beautiful, easy to assemble, and is perfect for my space. I would definitely recommend this lamp and Lamps Plus. I love this floor lamp! It’s a work of art. It was very easy to put together. LOVE THE NEE LAMP! Perfect For our Western Decor! Beautiful! Adds so much ambiance to my converted mill apartment! I absolutely love this lamp because it has a unique rustic style & the red shade adds warmth to the room. The shade had a scratch but Lamps Plus customer service were fantastic in sending me a replacement. I thought shade would be aquare.. otherwise it's very made well.. The shade is too dark when it is not lit. It should have been displayed both lit and unlit. The design and size is good and delivery as expected. Three mica shades are the perfect accent to the warm wood base of this delightful arc floor lamp.